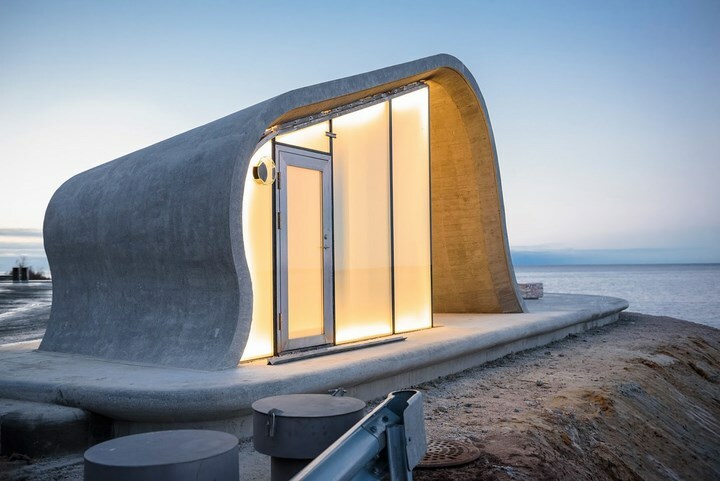 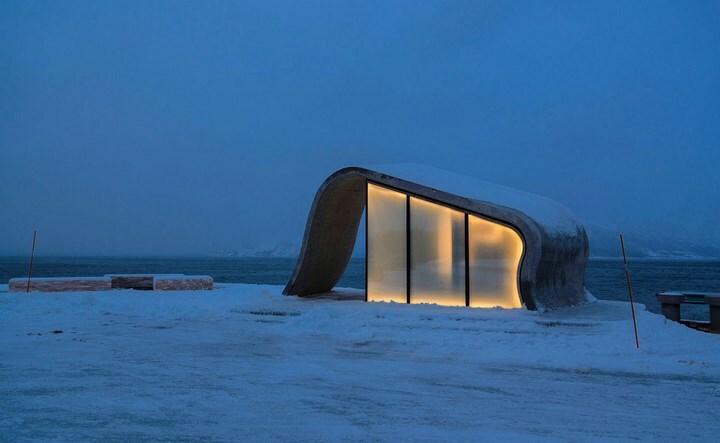 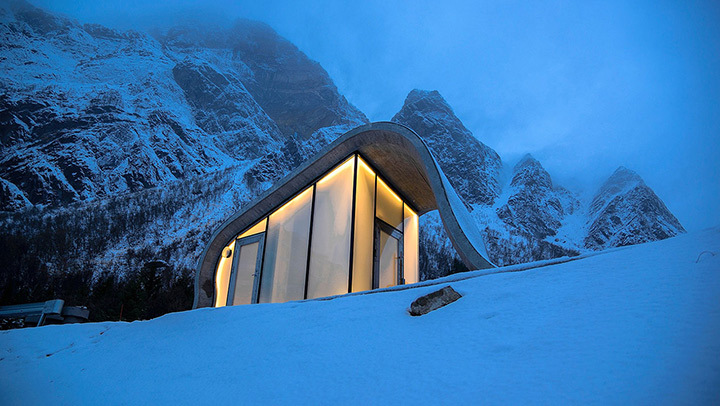 Designed by Oslo-based studio Haugen/Zohar Arkitekter (HZA) designed, In addition to the historical monument Uredd, The uredplassen gets a scenic impressive upgrade with its impressive toilet facility. 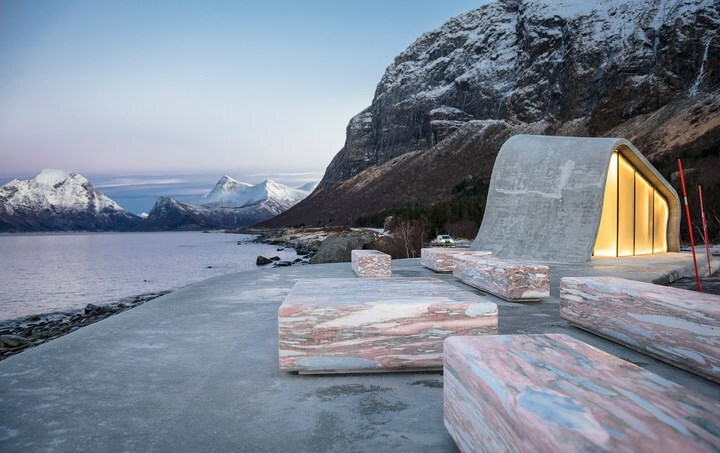 They have upgraded the monument Uredd with a new concrete viewing terrace, seating benches in the characteristic marble from Fauske and a toilet facility. 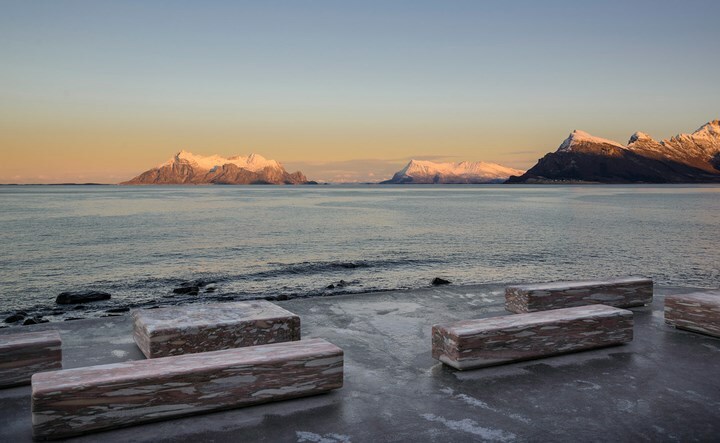 This Uredd resting place is created with a view to the north and the midnight sun facing the mountain summits as well towards the vast open sea. 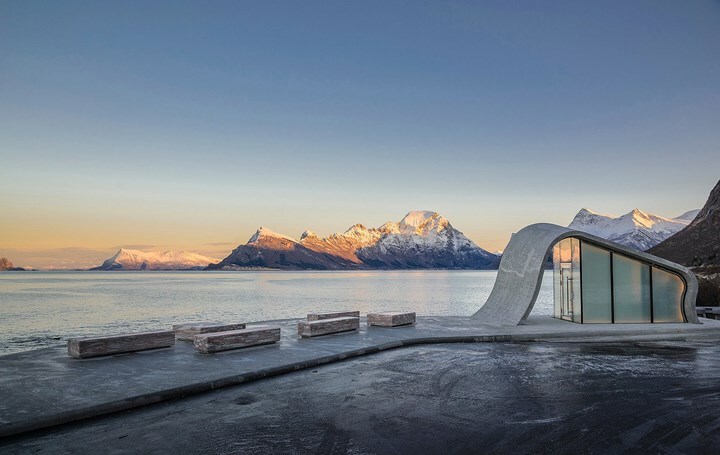 In particular, the concrete works in connection with the building and the amphitheater have been complicated, but the results are satisfying. 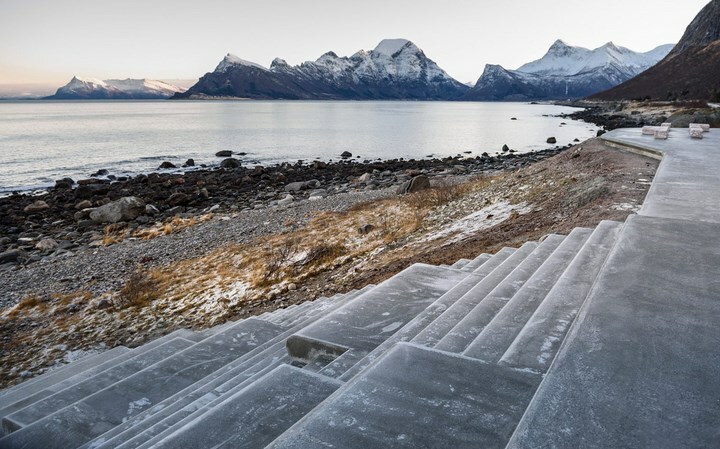 The amphitheater rolls down making the shoreline accessible, It is shaped as a flight of wide steps, alternately for walking and seating. 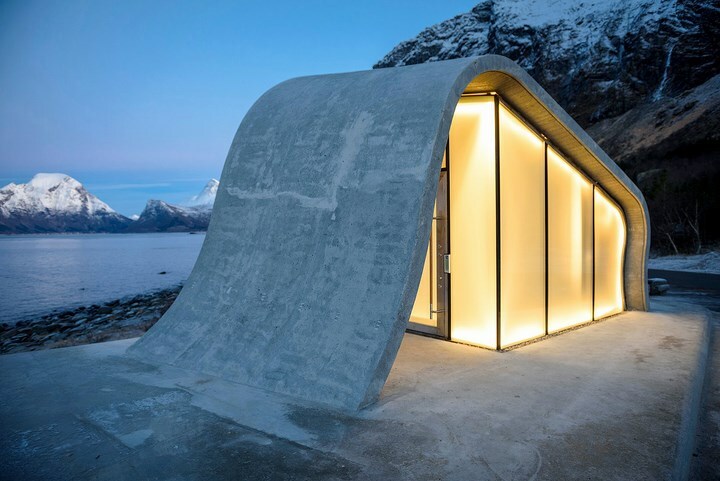 The toilet facility is made of concrete and glass with an angular construction which adds beauty to the scenario.